We've got 10 great ideas that will help this Christmas Elf highlight all the good behaviour your children show in the run-up to Christmas! Some elves may misbehave and tell Santa when children are bad, but we think The Good Elf is much better as he tells Santa about all the positive things your children do and how good they are. What better way to introduce The Good Elf to your children than to have him bring Christmas into your home – on Santa's orders of course. On the 30th November The Good Elf could bring out the Advent Calendars and leave them in the front room when everyone is asleep in their beds. This way when the children wake up on December 1st he can be played with and be included from the start of the Christmas fun. Rather than The Good Elf making a mess every night it is great for him to do something good or helpful when everyone is sleeping. The Elf could set up breakfast for the morning – lay the table, pour cereal into the bowls, fill a jug of milk and of course have already finished his little cup of cocoa so he's ready for a day of playing. 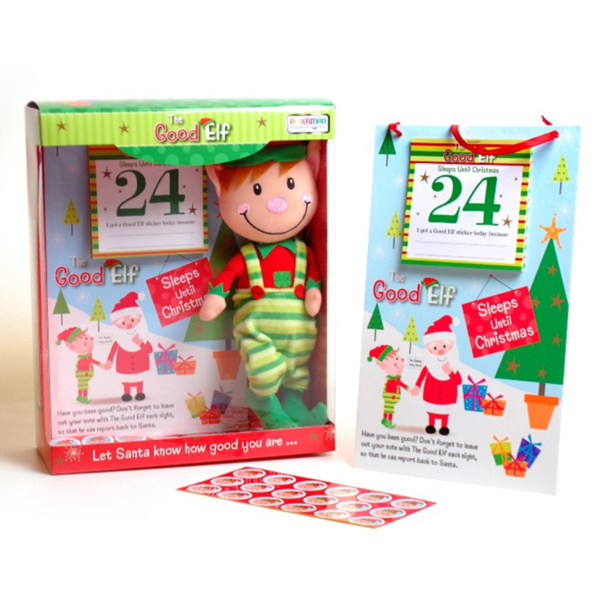 This elf comes with a countdown to Christmas where your children can write down the good things they did that day. The Goof Elf then takes this information to Santa and can even write down his own reports on the back of the tear-off calendar with information of any nice things he 'caught' the children doing. If The Good Elf approves of what your children have written he can also put a Good Elf Sticker onto the report. If he didn't catch them doing anything nice a little note of 'nothing to report' is a great way for the children to realise 'today' is a great opportunity to make sure they do something good for him to report to Santa the next night. The Good Elf might get out the Christmas decorations when everyone was asleep (on a Friday or Saturday night) so that they are ready for decorating the Christmas tree the next day. He could also make some Christmas decorations one night and leave out the crafting supplies so the children can make them the next day too. The Good Elf can play with other toys when your children are asleep in bed – he could read them a story, show them how to colour, play a board game or, if the toys are bad, they could tie him up and he might have to tell Santa about it in his Elf Reports. If The Good Elf thinks that your children have been especially good then he could bring family orientated treats for the children such as a Christmas film for the family to watch or a new book for bedtime. 10. What did the elf do last night? The Good Elf can also be used as a point for your children to write stories about. If they write down each day what the elf got up to the night before and how they found him it's a great way to boost their creative skills. Also, these little books can be kept for years and will become fond keepsakes in the future. The great thing about The Good Elf toy is that children can play with him and he's a positive reminder of their good behaviour. However, you'll have to remember to leave him downstairs at bedtime because his magic only works when everyone is asleep! 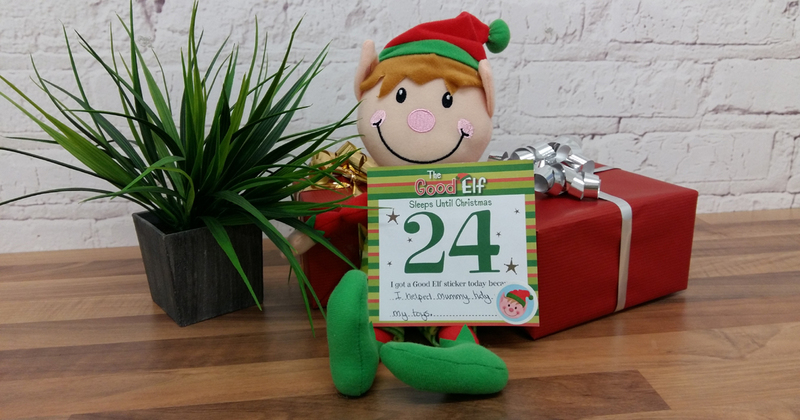 If you liked our ideas for The Good Elf then why not have a look at him here. 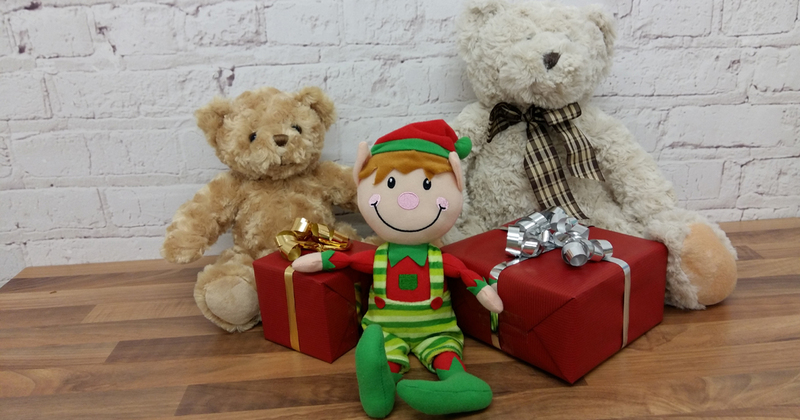 Want to share your own good ideas for your Christmas Elf? Let us know your thoughts on our social media pages. 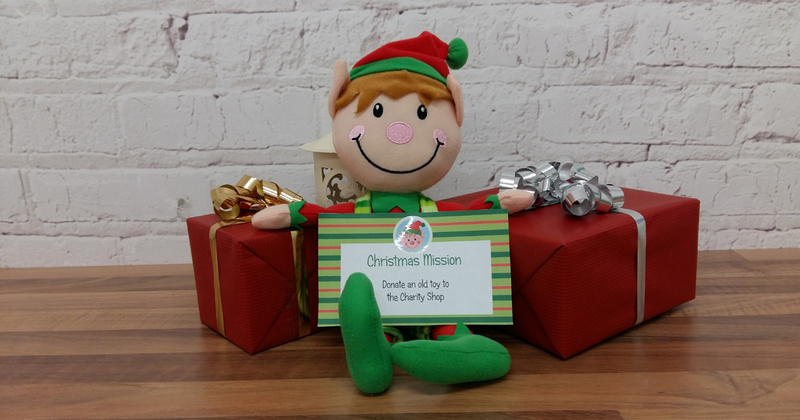 You can also follow The Gift Experience's Good Elf from the 1st of December when he will be visiting our headquarters and helping us get ready in our Countdown to Christmas.